You are browsing the archive for 2019 March 13.
statistical tie for the Democratic nomination? economics, history, and the human condition. wonderful change was the advent of modern free-market capitalism. wealth were those at the bottom. inequality in countries with high economic-freedom scores. Washington’s involvement in Sub-Saharan Africa. in Niger, Somalia, and other countries than most Americans realize. even members of Congress were surprised. A lobbying effort now seems to be taking place for U.S.
searing footage of suffering in one UN-run refugee camp. starving, disease-afflicted children and their anguished parents. of course, by the United States) took immediate action. A U.S. Early in the 5th century, an Irish ship beat against the waves along the western coast of Great Britain. On the far edge of the crumbling Roman Empire, a band of Irish marauders crept into a secluded cove and raided the village of Bannavem Taburniae. Among the plunder captured by the band of warriors dispatched by Ireland’s King Niall of the Nine Hostages was a 16-year-old boy named Succat. Although brought to Ireland against his will, the teenager would go on to become Ireland’s patron saint. 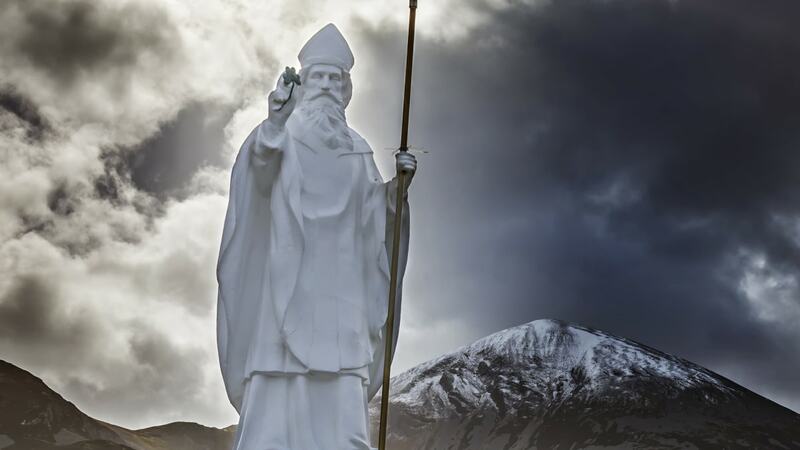 St. Patrick may have been a foreigner who arrived in Ireland in the hold of a pagan king’s slave ship, but he would become synonymous with the island itself. Established facts about Patrick’s youth are few, and much of what is known comes from the saint himself in his short autobiography, the Confessio. According to the traditional narrative, Patrick was born into a well-to-do family around 386 A.D. and grew up along Great Britain’s western coast, likely in Wales, which was part of the Roman Empire at the time. His father was a Christian deacon and a minor Roman official, his grandfather a priest. The raid that tore him away from his family was not all that unusual in the early 5th century, says Philip Freeman, author of St. Patrick of Ireland: A Biography. “We know from a few other late Roman sources that the Irish had been raiding western Britain regularly for at least a century before Patrick was captured in the early 400s, just as the Saxons had been raiding in the east of Britain,” he says. “One of the most horrifying features of the period is the wholesale enslavement of freemen and -women,” writes Thomas Cahill in How the Irish Saved Civilization. “In the slavery business, no tribe was fiercer or more feared than the Irish.” As Roman power waned, forays by Irish raiders grew more common. On a regular basis, they plundered animals and clothes and snatched children from their sleep in the middle of the night. They abducted young men to herd sheep and cows and young women to serve them. prices due to the growers’ impressive crop yield. process of amending the Constitution. way for the states to initiate the amendment process. far exceed its legitimate powers, arrived years ago. unaccountable bureaucracies, which continue to grow unchecked. version of the American Dream. action, abortion, political gerrymandering, and campaign finance. polarization and a more toxic political discourse.